Gray Matter is available on Windows and Xbox 360 making it one of the few console games in the point and click adventure genre. The game was released in 2010 in a number of European countries and eventually was translated into English in 2011. Gray Matter takes place around London (mostly centred around Oxford) with players following the journey of Samantha, a wonderful magician and popular street performer. During her journey she is also accompanied by David Styles a renowned professor with a mysterious side. 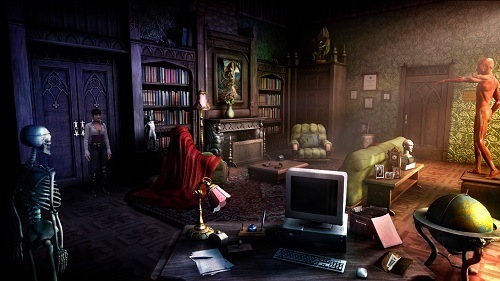 In the game Sam is enjoying a relaxing country drive but after her bike breaks down she takes shelter in David’s mansion which is where your mysterious adventure begins. You’ll be joined by some other ‘test subjects’ and assist in his research which slowly unlocks the mysteries of the mansion and David’s research. 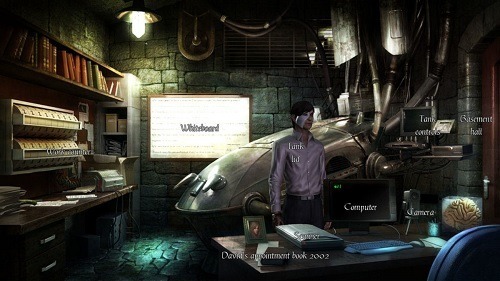 Gameplay in the Gray Matter is entirely a point and click experience with players able to interact with the game world by talking to the NPCs and picking up items. You’ll play as Sam for most of your adventure but do occasionally play as the professor although this does not change the gameplay experience. You will approach Gray Matter in a series of chapters helping to give the game good structure. This structure also allows the game to integrate bonus objectives into every chapter for those that really want to explore every inch of gameplay that Gray Matter has to offer. The game really shines though because of its puzzle variety which is generally a downside of most other puzzle adventures. The puzzle types include visual puzzles, word games, riddles and even magic tricks. Puzzles in Gray Matter also have good difficultly to them without ever getting frustrating or feeling cheap. Amazing puzzle variety to keep things fresh. Experiencing Oxford with great visuals. Interesting storyline with good plot twists. Play as Samantha the magician and David the professor. Captures the point and click experience and even brings it to Xbox.